I know this season is usually all about hot apple cider, but I'd love to suggest something a little different: spiced apple cider mixed with rum and fresh lemon juice, served very very cold over ice. 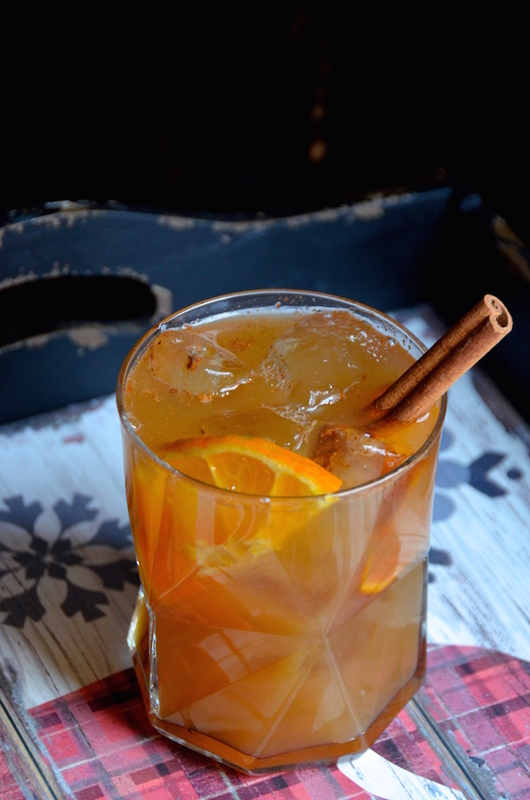 I served this refreshing Spiced Apple Cider Rum Punch at a party I hosted last night, and can report that it was a total hit. The punch bowl was completely empty by the end of the night, and several guests asked for the recipe. And honestly? It's so simple! This is a great recipe to keep in your back pocket for any parties you're hosting this winter (or...if you're just craving something different for happy hour). Combine gold rum, lemon juice, cinnamon, nutmeg, and cloves in a cocktail glass. Stir to combine. Fill glass with ice. Add apple cider. Garnish with cinnamon stick and orange slice. Serve immediately.